The explosive flavour of a freshly picked raspberry is hard to beat. This delicious fruit is so easy to grow and provides many tempting options in the kitchen, from stunning desserts to jam, etc. Or why not try them in a white sangria? I am a fresh raspberry addict. Put aside the dull, lifeless, flavourless counterfeits found in the supermarket. Raspberries (Rubus idaeus) lose their flavour, texture and colour within hours after picking, so the only way you can truly experience the real thing is to grow them yourself. A perfect raspberry is just firm enough to pick without breaking the fragile skin. It bursts in your mouth, releasing a complex and refreshing sweet-sour juice that makes your mouth water. This bramble fruit is wonderfully rewarding and easy to grow. Red raspberries are the most commonly grown, but there are varieties of purple, black, or yellow berries. Although considered a cool-climate fruit, they also grow well in Spain. 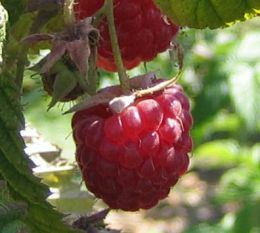 I happened to read somewhere that a Scottish variety of raspberry, which did not much like the climate at home, has become a major success in the sunny weather of Spain and now accounts for more than 50 per cent of the crop in Andalusia. 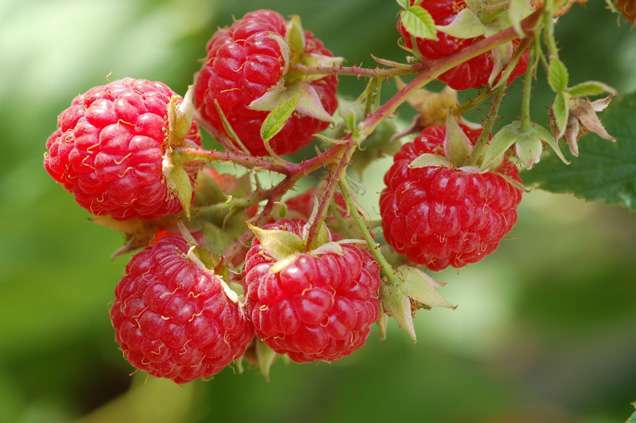 Raspberries are suckering shrubs with cane-like stems 1.5�2.25m high. They grow best in well-drained, acidic to neutral, rich soil. If you grow early, mid and late season cropping cultivars, you can have fruit from spring through to late autumn. 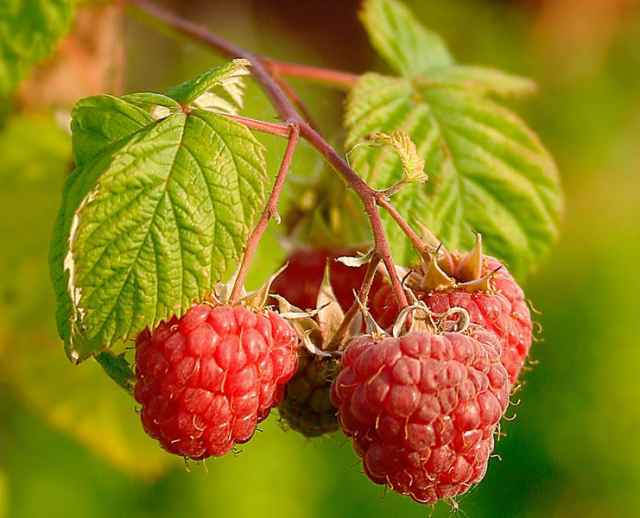 It is important that you do not establish your raspberry patch in an area where you have recently grown tomatoes, peppers, egg plants or potatoes, to avoid verticillium wilt, which these vegetables can carry, and raspberries can catch. 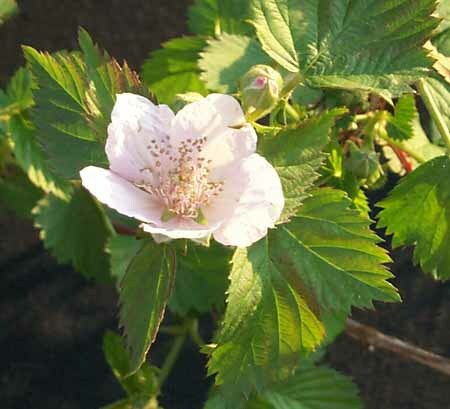 Buy certified disease-free stock and plant the raspberry canes in rows facing north to south, as this ensures the plants receive even sunlight. They benefit greatly from a sheltered site with shade from the hot afternoon sun. Space the canes about 1m from each other as they multiply very quickly. If you plant one cane this year, you will have a dozen or more in the same spot next year. If planting more rows, make sure to leave plenty of space in between the rows for easy picking. 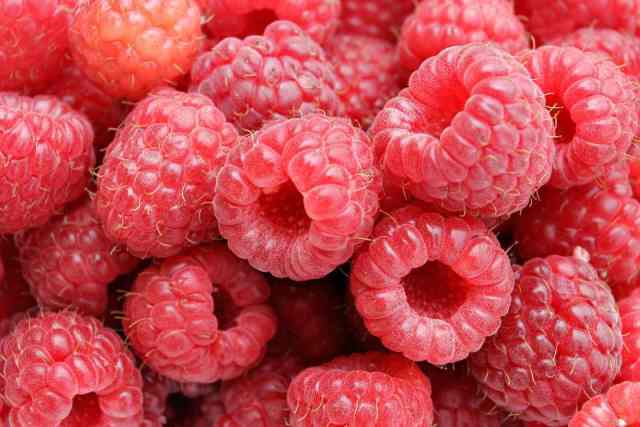 You may also want to consider containment as raspberries spread by underground runners. Before planting, dig a trench to loosen the soil, then work in plenty of compost or manure as you fill the trench. Make sure the soil drains well to prevent root rot. Create a ridge that is about 10�15cm above ground level, as this will improve drainage. Plant at the same depth as they were originally, using the soil mark on the stem as a guide. Take necessary steps to keep weeds out of the garden. Mulching with straws or sawdust will help to keep down the weed growth inside the cultivation. Mulch about 10cm deep, then water well. To support the raspberry canes, attach three horizontal wires to lattice, a fence or firmly anchored posts, as canes top-heavy with fruit tend to bend over. 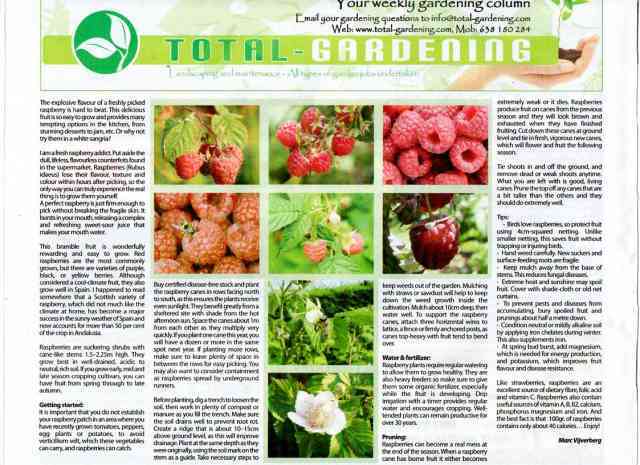 Raspberry plants require regular watering to allow them to grow healthy. They are also heavy feeders so make sure to give them some organic fertilizer, especially while the fruit is developing. Drip irrigation with a timer provides regular water and encourages cropping. Welltended plants can remain productive for over 30 years. Raspberries can become a real mess at the end of the season. When a raspberry cane has borne fruit it either becomes extremely weak or it dies. Raspberries produce fruit on canes from the previous season and they will look brown and exhausted when they have finished fruiting. Cut down these canes at ground level and tie in fresh, vigorous new canes, which will flower and fruit the following season. Tie shoots in and off the ground, and remove dead or weak shoots anytime. What you are left with is good, living canes. Prune the top off any canes that are a bit taller than the others and they should do extremely well. 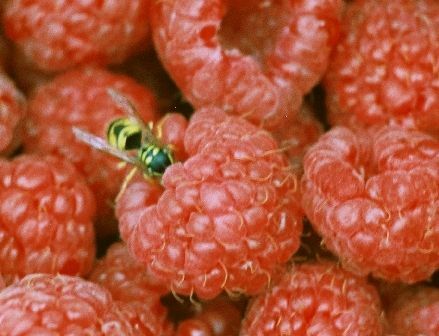 - Birds love raspberries, so protect fruit using 4cm-squared netting. Unlike smaller netting, this saves fruit without trapping or injuring birds. - Hand weed carefully. New suckers and surface-feeding roots are fragile. - Keep mulch away from the base of stems. This reduces fungal diseases. - Extreme heat and sunshine may spoil fruit. Cover with shade-cloth or old net curtains. - To prevent pests and diseases from accumulating, bury spoiled fruit and prunings about half a metre down. - Condition neutral or mildly alkaline soil by applying iron chelates during winter. This also supplements iron. - At spring bud burst, add magnesium, which is needed for energy production, and potassium, which improves fruit flavour and disease resistance.